Sharing the secrets to achieving Hollywood hair at home. 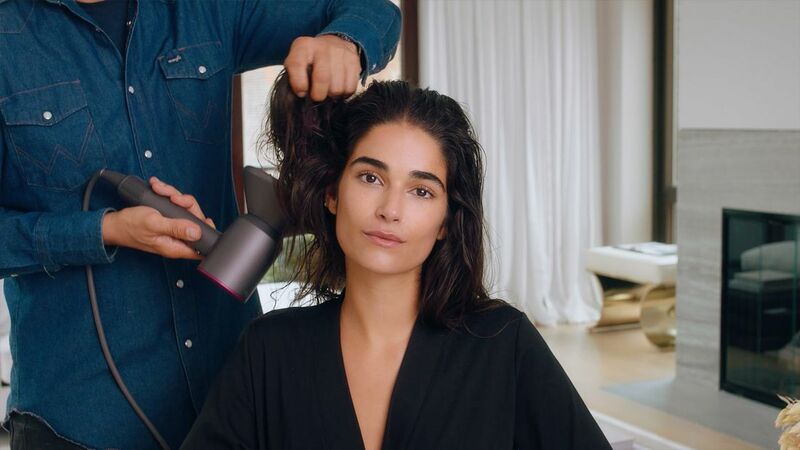 Dyson aimed to introduce consumers to its Supersonic hair dryer—the essential tool achieving red-carpet worthy hair easily at home without a salon appointment. HearstMade showcased the Supersonic in three elevated video tutorials, each portraying a dramatic look that can easily be created with this beauty wonder. 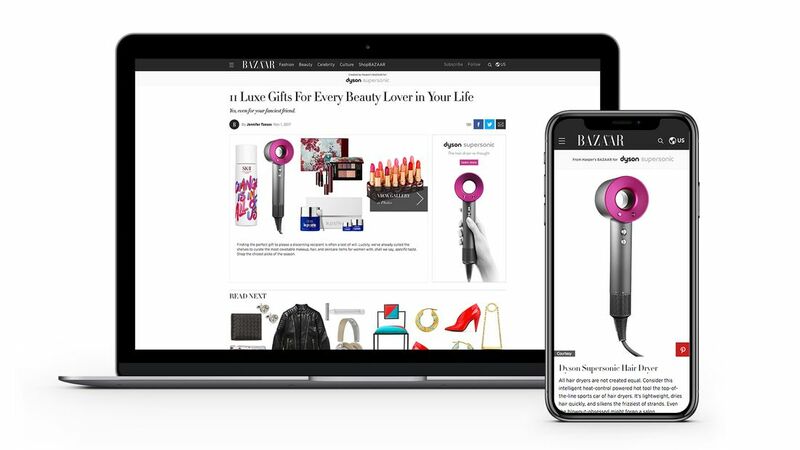 Our custom content also included a gallery of hair product essentials chosen by celeb hairstylist Jen Atkin, and a luxury beauty holiday gift guide touting the dryer as deserving of a spot on Bazaar readers’ holiday wish lists. 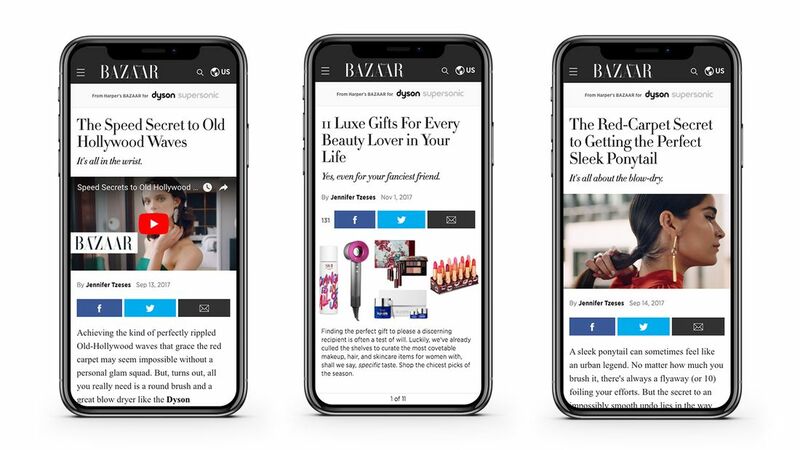 Our audience responded to both the elevated aesthetic and expert service this content delivered. The custom video “How to Master the New Updo” garnered the highest video completion rate, and “The Red-Carpet Secret to Getting the Perfect Sleek Ponytail” delivered the most video views. 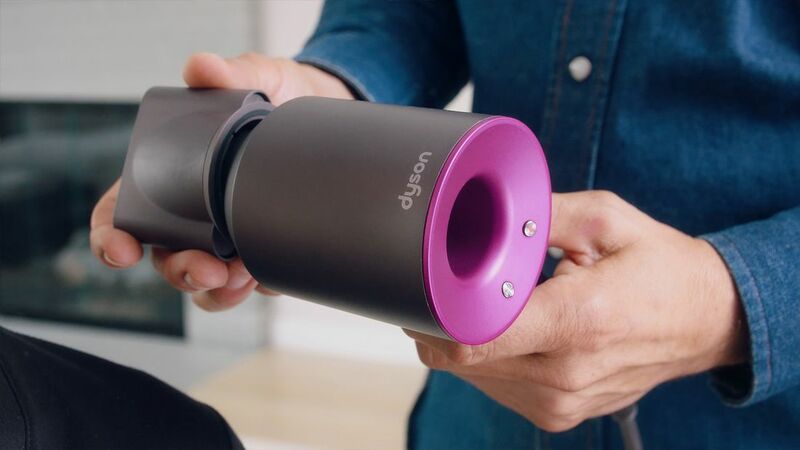 The two custom articles also engaged, with “9 Products Jen Atkin Says You Should Buy Now For Better Hair” generating the most uniques and highlighting the dryer as the tool esteemed hair pros rely on.